the best equipment for the best results. With more than 3,000 square feet of bright, open, airy space, willow’s studio is equipped with the full line of Gratz Pilates equipment. Gratz is the original manufacturer of Pilates equipment and continues to build to Joseph Pilates’ high-quality specifications. The studio also has separate rooms equipped with tower units for group classes, as well as many fitness props to challenge every fitness level. The Pilates Reformer helps one establish torso stability and postural alignment while working peripheral limbs in a range of motion. The adjustable springs allow for progressive resistance, which helps to lengthen and strengthen the muscles rather than building bulk. It makes for an effective, no-impact stretching and toning workout that is friendly to the joints. 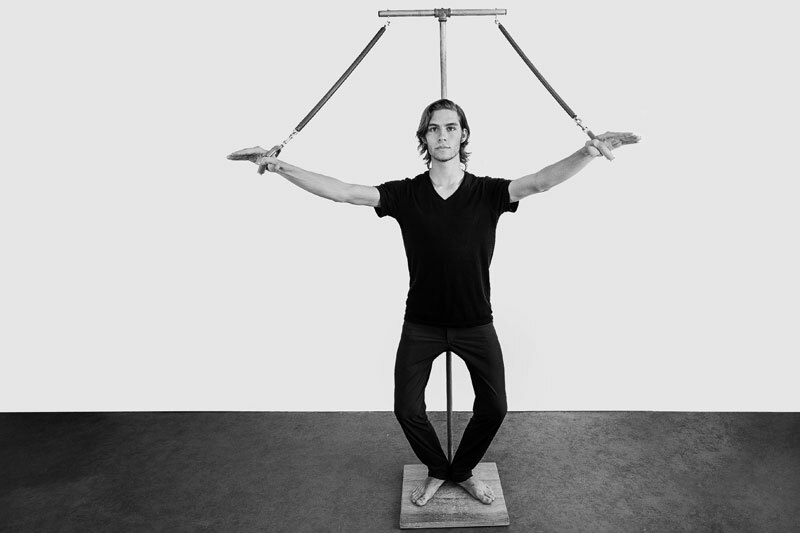 With its sophisticated system of springs, straps and pulleys, more than 100 exercises can be performed on this surprisingly versatile apparatus. The "tower" is bolted both to the wall as well as to the floor and houses arm and leg springs, hardwood push-through and roll-down bars and other apparatus to provide many of the Cadillac functions in a compact space. Most of our mat classes include work on the tower with a raised platform mat and raised mat boxes. The tower workout uses spring tension to both aid the student as well as to challenge the student as powerhouse strength increases. The Cadillac (also known as the Trapeze Table) is one of the most effective and versatile pieces of exercise equipment ever to be engineered. 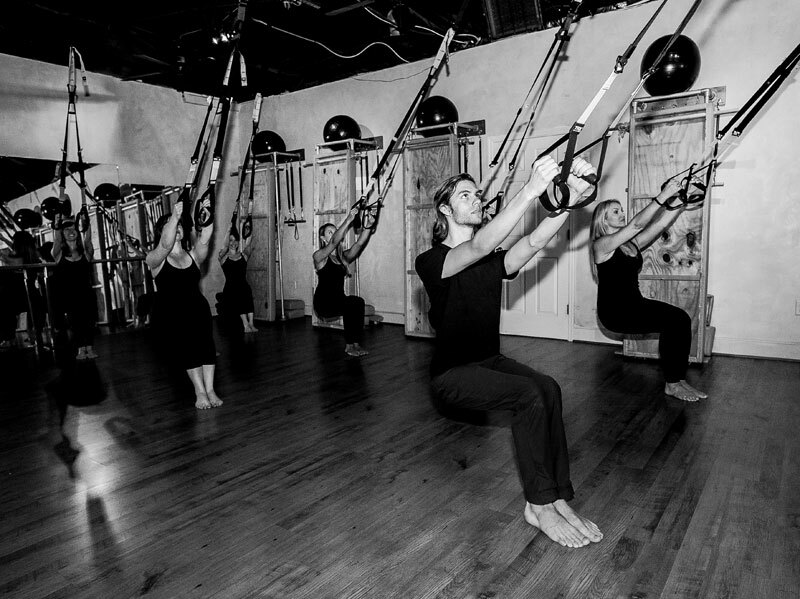 Over 80 different exercises can be performed on this piece of Pilates equipment, ranging from gentle spring-assisted sit ups to advanced acrobatics that have one hanging from the upper bars - there's something for all ages and abilities. This unit is effective for stretching the spine and shoulders in a safe, stabilized, supported way. It adds variety and challenge to a Pilates mat routine or circuit training session whether one is a novice or expert. Deceptively resembling a stylish little stool, the Wunda Chair is one versatile exercise machine. Don't let the word "chair" fool you - it's not necessarily a sit-down workout. More than 75 exercises can be performed on the Wunda Chair — it makes it a great addition to your physical fitness routine. Like the name says, this piece of Pilates equipment consists of ladder-like rungs and a rounded barrel-like surface on which a multitude of stretching, strengthening and flexibility exercises can be performed. The Pilates Ladder Barrel helps isolate deep postural muscles and challenges the body on all planes of movement. Said to be the first piece of home exercise equipment, the classic Pilates high chair or the "electric chair" may be used to work the entire upper and lower body, challenging balance and strength. 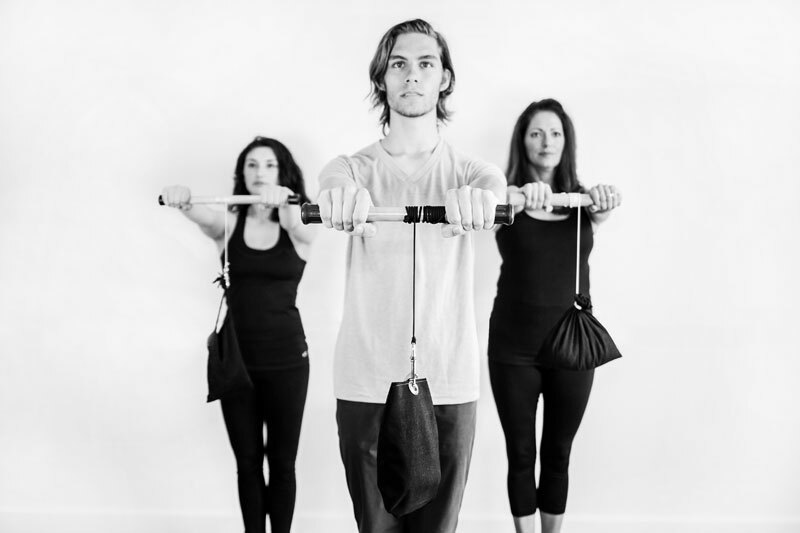 An authentic Pilates piece, the arm chair has a back that moves with your body to maintain support while engaging and stretching most of your upper body muscles through the use of arm springs, arm springs that conform to the original specifications. 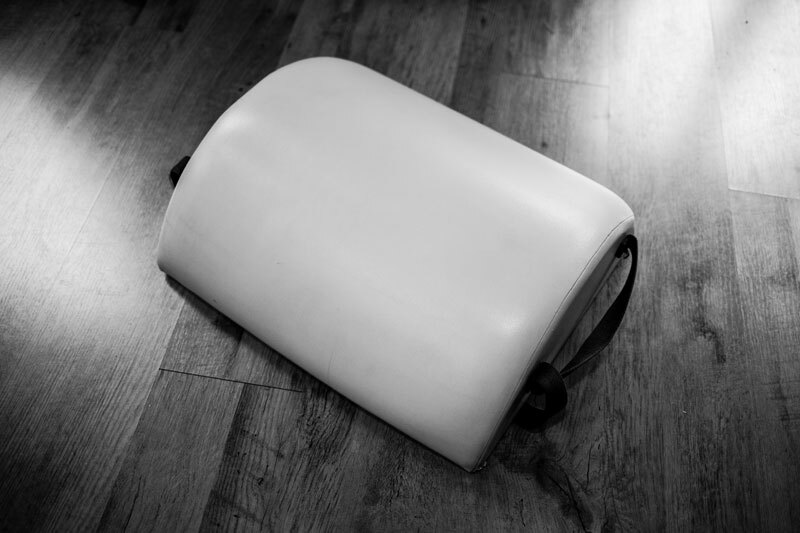 This weighted roll-up appartus is just what Joseph Pilates ordered for strengthening weak wrists. A great complement to a mat workout or circuit session the barrel arch helps support the back and shoulders and open up the neck, hips and thighs, depending on how you use it. It’s a great rehabilitative tool for those recovering from stress, tension or injury and makes a safe surface for deep stretching. 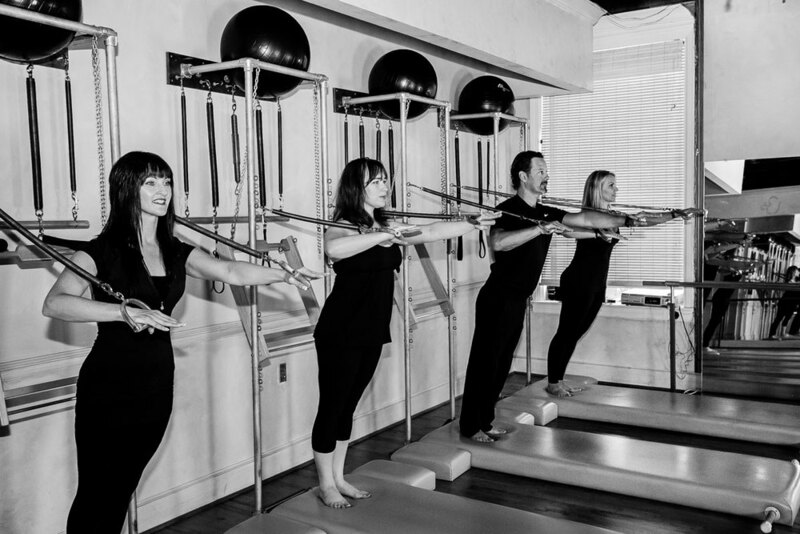 Designed by Joseph Pilates, the Pedi-pole represents the spine, and the springs the arm muscles. The pole is designed to be unstable, which requires you to use the powerhouse to keep the pole steady. People with neck and upper back problems use it to strengthen those areas, because it teaches students to isolate the neck from the shoulders. Pregnant women use it to improve posture, because it emphasizes lifting the head up and out of the shoulders. It can advance the practice of pretty much any student at any level. An often unknown piece of Pilates apparatus, the foot corrector is designed to strengthen and articulate the muscles of the foot and lift in the arches. 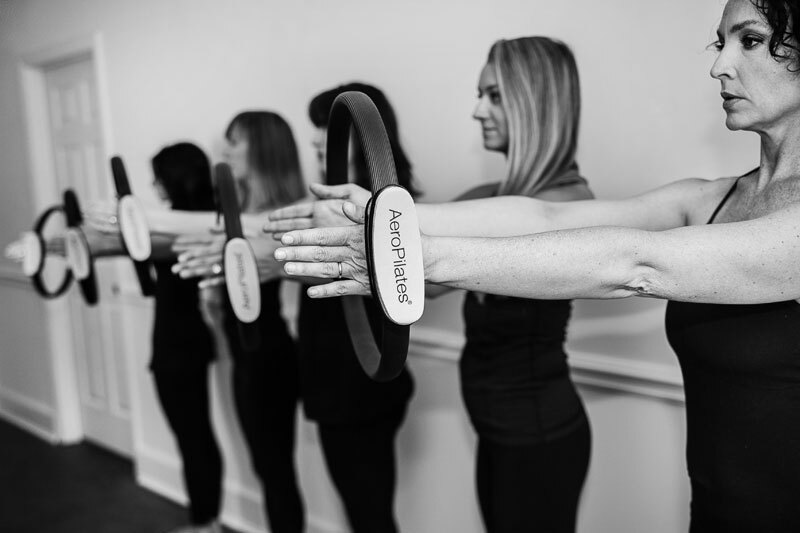 The Magic Circle is a very effective, portable tool used to teach upper body strength, inner thigh work (adductors), outer thigh work (abductors), abdominal work, spinal mechanics (especially rotation and lateral movement), as well as gluteal work. The Magic Circle is a great tool to ease tension and help us return to normal. Born in the Navy SEALs, Suspension Training bodyweight exercise develops strength, balance, flexibility and core stability simultaneously. The TRX Suspension Trainer, is a performance training tool that leverages gravity and the user’s body weight to complete hundreds of exercises. A fully adjustable piece of equipment that offers complete freedom of movement while performing the circular, spiraling and undulating movements unique to the Gyrotonic system of exercises. Gyrotonic incorporates movement principles from yoga, dance, gymnastics, swimming and Tai Chi.